Dr. Walter Gilliam has worked on implicit-bias research in early childhood education for years, and he presented his research at JSU's Implicit Bias Think Tank on Thursday, March 23. Photo by Arielle Dreher. JACKSON  Implicit bias starts early in education—really early. New research shows that boys, black children and especially black boys are more likely to be expelled or suspended from early education program than their peers who commit similar offenses. Dr. Walter Gilliam, a researcher at the Yale University Child Study Center, presented his research at the Jackson State University Implicit Bias Think Tank on Thursday, March 23. JSU hosted a series of researchers from around the country for a two-day think tank to address and discuss the ways implicit bias affects all academic fields, some in different ways. In early childhood education, Gilliam has looked at the racial disparities since the 2000s, when he conducted research to see why young kids are expelled from preschools and who these kids are. He found that all the factors that predict preschool expulsion mainly have to do with a teacher's job stress, the child-teacher ratio, length of the school day and access to more supports. "None of them have anything to do with the child's behavior ... expulsion is not based on child behavior at all. It is an adult decision," Gilliam said at the Jackson Convention Center this morning. Gilliam's 2005 research showed that three "B's" can predict a preschooler's risk of expulsion: "big, black or boy." Black children are expelled at twice the rate of white children, and kids that are bigger or taller than their peers, usually 4-year-olds, are more likely to be expelled for similarbehaviors than 3-year-olds. "This is more about what's going on in the teacher's mind ... than on what the child's actually doing," he said. Gilliam worked with the Congressional Black Caucus back in the early 2000s, and the U.S. Department of Education's Office of Civil Rights began to collect data on preschool enrollment and expulsions. The recent data are concurrent with Gilliam's 2005 research. Black preschoolers are 3.6 times more likely to be suspended than white preschoolers, June 2016 DOE data show. In recent research, Gilliam and a team of researchers found that while implicit bias still exists in both white and black early-childhood educators, but how they address that bias or fix it with empathy depends on the teacher's race and the race of the child. Preschool teachers watched a video, after being told to look for challenging behavior, and tracking their eye movements, the data shows that teachers watched black children—especially the black boys—the closest. When asked who they thought they looked at more, preschool teachers admitted that they watched boys much more closely than girls, Gilliam said. In the second part of his 2016 research, Gilliam wanted to test preschool teachers' empathy, attempting to address the bias issue. By adding a paragraph to a description of a child's name, specifically written as white or black names, with some of their family's story, some preschool teachers were able to empathize with children—but largely only when they come from similar backgrounds. "When Black teachers rating Black children were provided with background information that included familial stressors that may be explanatory of child behavior problems (as might be learned during the course of a year of interacting with the child and family), ratings of perceived severity significantly decreased," the study says. "However, when the same background information for Black children was provided to White teachers, severity ratings increased in ways consistent to the overall finding that background information regarding familial stressors may lead to feelings of hopelessness that the behavior problems can improve. These findings are consistent with studies showing a tendency for raters (applied here to teachers) to show greater empathy for the misfortunes' of others (applied here to a challenging set of home circumstances) when rating someone of their own race." The research shows that even knowing or admitting a part of your bias does not necessarily lead to empathy, especially if the teacher's race is different than that of the child's. Gilliam suggests that future research should look at how an educator's connectedness to the parents and families of the kids they teach could affect expulsions and suspensions in the future. "Until we can get ahead of the issue of bias in terms of why we're disproportionately expelling children out of these programs, we're never going to be able to actually be able to make these programs as effective as they need to be," Gilliam said. "(My research will continue to focus on) how do we help teachers identify bias in themselves ... in order to get all of the children in their classroom an equitable shot?" Email state reporter Arielle Dreher at arielle@jacksonfreepress.com. 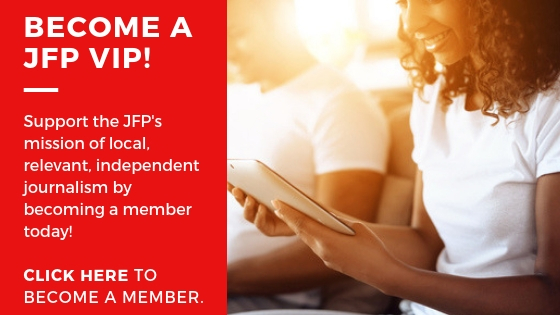 Follow @jxnfreepress on Twitter for breaking news and subscribe free to jfpdaily.com for a free email update daily.